Black or White? 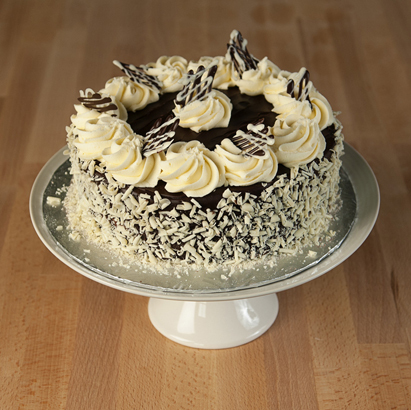 No decision here with one layer of moist white cake and one layer of our delicious chocolate cake sandwiched in the middle is a white chocolate mousse filling and it is covered with a fudge icing. All ending with white chocolate drizzle and marbled chocolate triangles.